Great news! 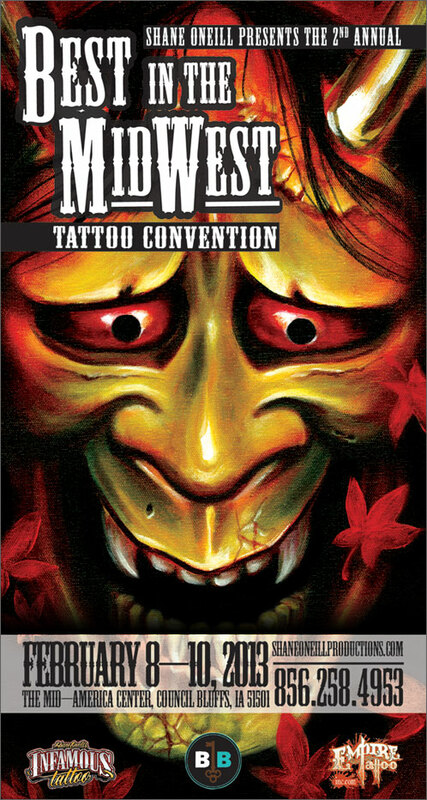 The Rebel Muse crew and I will be attending the Best in the Midwest convention this February in Iowa! I have a couple spots open for tattoo appointments for that convention. February 8-10, 2013. So if you live in the area, or are willing to travel, contact me through here to set something up! Can't wait to start hitting more conventions in 2013!